SIM Only contracts (SIMO) are when you sign up to a SIM card but you don't get the phone. This is because maybe your handset is working just fine and you don't need to upgrade. As phones get better and better (as well as the batteries), often there is no need to upgrade anymore. There's only so far a picture can improve before it's just as good as real life! Whatever the reason, SIMO plans can be very cheap - from as little as 1p - and you'll find the best discounts as shared by our community here. 100GB Sim Only Vodafone - Save £7! MEGA DEAL! 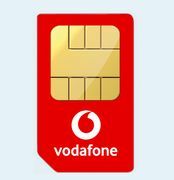 Vodafone Sim 40GB Data/ Unlimited Mins & Texts - Only £14! Amazing Sim Only Deal - 2.5GB, £7.50 per Month, Unlimited Minutes! Smart phones can be painstakingly expensive, but that does not mean that your monthly bill has to be as well. You can save a lot if you will separate your handset’s cost from your service with one of the cheap SIM only deals we have here at Latest Deals. Here you will find everything you need to know if you’re on the market for a SIM only plan. If you’re looking for SIM only deals UK, 3 SIM only deals or even EE SIM only deals, our massive community of bargain hunters have found the best possible deals around to provide you amazing savings. SIM only deals are contracts that include, texts, minutes and data for a fee every month and does not include any handset. These deals are typically a lot cheaper compared to standard monthly contracts that are bundled with a mobile phone. You have to have your own handset where you can put the SIM or you can opt to purchase one separately. Though you’re not buying a handset, you are still required to sign up to a contract which is usually 12 months or a 30-day rolling contract. Most providers will also ran a credit check, so it is best to check your credit score first if you find it hard to get credits. There are some certain promos for SIM only deals that may not apply for a network’s existing customers even if they are already out of their minimum contract agreement. It is always best to check with your provider to see if they will be able to offer you something if you have an existing contract with them. How can I choose a SIM only deal with an allowance that suits my needs? Billmonitor: This works for Tesco Mobile, O2, Three Mobile, EE Mobile and Vodafone customers. This website may not be the most user-friendly, but it will provide you with a very detailed analysis of your bills. Ctrlio: This is handy in reminding you when there are better SIM only deals available based on your montly usage of just at your contract’s end. Currently it works with Giffgaff, O2 and EE customers. Unlocked phone. If your handset comes from a traditional contract, it is most likely that it is locked to your network where you got it. You can simply insert a different network’s SIM to find out if it’s locked or not. If it’s locked, you need to have it unlocked in order for your new provider’s SIM to work. Your network provider will be able to do this for free if you’re already out of the contract. If you’re still locked in a contract or you purchased your handset on a pay-as-you-go deal, there may be corresponding charges of up to £15 to have it unlocked. Switching contracts. If you’re planning to switch contracts, you have to notify your current network as soon as possible. Most require you to notify them of cancellation within 30 days. Usually, you will need to pay for this many days as a minimum once you informed them you’re opting out of your contract. Keeping your number. You can still keep your number by calling your provide a month before the end of your minimum term and request for your porting authorization code or PC. The process may vary from each provider, but it can be done over the phone. Signal strength. Before switching to a network, make sure to check the strength of your prospect network both in where you work and where you live. You can use the Telecoms Coverage Checker of Ofcom for this. Once you’ve decided which network you’ll be going for and the allowance you want and need, it’s time to find the best SIM only deals that suits this. Here at Latest Deals we have all the latest offers, promos, discount codes and voucher codes found by our bargain hunters online. We have also scoured the net for the best deals from top networks. EE SIM only deals: EE Mobile offers a 12-month SIM only deal which gives you unlimited minutes and texts as well as 20GB data allowance which you can use anywhere in the EU without added cost. EE SIM only deals for existing customers includes an upgrade to a handset contract after 3 months if you’re on their pay monthly SIM plan, after 6 months they will also give you a £20 savings. They also have limited offers where you can as much as 40% off on select 12 Month SIM Only contract plans. Carphone Warehouse SIM only deals: You can choose from Carphone Warehouse’s wide range of SIM only deals that comes with numerous network benefits plus you can also get a £25 Currys PC World gift card. Their Vodafone SIM only deals include massive savings that ranges from £60 to £120 and added tariff benefits such as global roaming and Vodafone entertainment. SIM only deals O2: Choose from their numerous Pay Monthly SIM and keep your number at the same time. You will also get free Wi-Fi, freebies and price draws on O2 Priority. They also run promotions where you can get monthly savings ranging from £2 to £15. 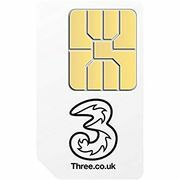 3 SIM only deals: Three offers one of the best value on SIM only deals which starts at just £5. Plus if you will pay by a recurring method like direct debit, you will get also get a £5 monthly discount. What's the deal with SIM-only? Why would you buy something that's essentially a contract, only with no phone? SIM cards come in three sizes and what you will get will depend on the type of mobile phone you have. The standard SIM card is sized at 15 x 25 mm, if you’re still using a handset from decades ago, then this is the one for you. But if your phone is bought in the last five years or so, it will more likely require a micro SIM card sized at 12 x 15mm or a nano SIM card sized at 8.8 x 12.3mm. Ensure that you have checked your handset’s SIM card size requirement first before purchasing a new one. If you’re still unsure, you don’t have to worry since a lot of networks now send triple SIM, meaning you’ll get each of the sizes. Redemptison. This is where you can get the biggest savings via sites of mobile resellers. You may need to send out your bills throughout your contract and you will be paid in installments. Make sure not to miss one though as you can lose out. Automatic. You can get this through resellers also. You automatically get a cheque within a few months. You don’t need to claim it but discounts are not as big. There are deals that can also be part automatic and part manual cashback. Through cashback sites. There are times when cashback sites offer deals that beat the networks’ deals. Where can I get a cheap Samsung Galaxy?